Riding the ferry across Puget Sound on an early winter morning you are surrounded by foggy blues and blurry browns. Calming and timeless. Eight shades of Jamieson’s Spindrift are used to knit this classic Fair Isle tam. 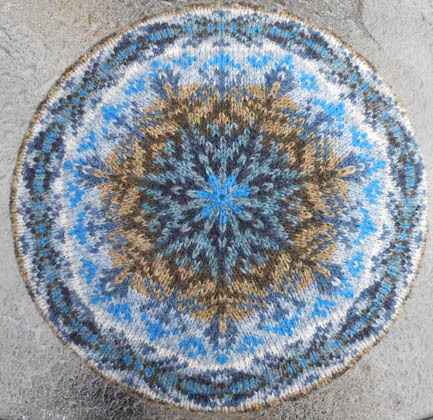 This pattern is available as a pdf download administered by Ravelry (you don’t need to be a member)–when you press Buy Pattern you will be sent to a separate PayPal page.